All tracks mixed by Steve Price at Angel Studios, London. 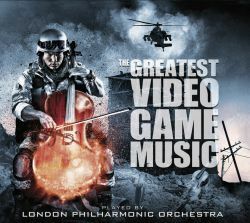 All tracks performed by the London Philharmonic Orchestra. The Orchestra's Leader Pieter Shoeman. London Voices directed by Ben Parry & Terry Edwards. Additional programming by Chris White & Sam Karl Bohn. Additional orchestration by Ben Foskett & Brian White.